Technocrats Fail To Crack Modi's Wave? Entry of technocrats and industry torchbearers like Nandan Nilekani and V Balakrishnan into Indian politics was touted as a game changer but all of them tasted defeat at the hustings, swept away by the Modi wave. Former Infosys executives Nilekani and Balakrishnan fought their maiden elections for different parties from the city which houses their former company's headquarters. 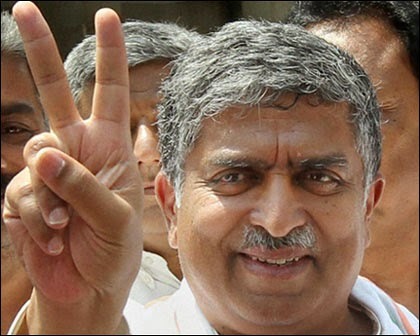 Nilekani, who was the richest candidate in fray for the 16th Lok Sabha, fought on Congress ticket from Bangalore South while Balakrishnan joined the fledgling Aam Aadmi Party (AAP). Banker Meera Sanyal, who had unsuccessfully fought the 2009 Lok Sabha elections as an independent, entered the fray this year on AAP ticket from South Mumbai constituency. She finished fourth behind Shiv Sena's Arvind Sawant, Milind Deora of Congress and Bala Nandgaonkar of MNS. In 2009, she had lost to Deora. As the Modi juggernaut rolled, Nilekani lost to former Union Minister and BJP candidate Ananth Kumar. 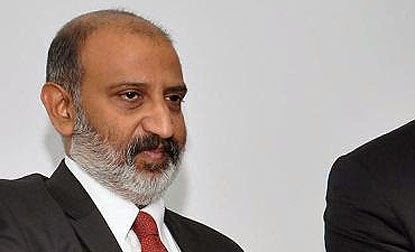 From Bangalore Central constituency and former Infosys board member Balakrishnan finished a poor third behind BJP's P C Mohan and Congress' Rizwan Arshad. Interestingly, both men conceded defeat even before the poll results were officially announced. "I concede defeat and congratulate Ananth Kumar for his performance in this poll. I will continue to work more for the city and the Congress party," Nilekani told this news wire agency. Asked when what went wrong for him, he said he was happy with the campaign he ran and the way his supporters and Congress leaders work along with him on the campaign. "We have done our best and I remain happy with my decision to stand for election," he said. 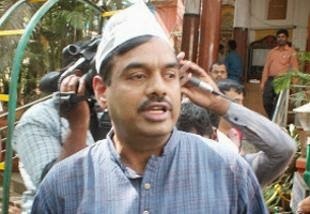 Bala too said AAP had run an honest campaign and it was the people's decision, who voted for stability at the centre, "I will help them with upcoming Bruhat Bengaluru Mahanagara Palike (BBMP) elections, we are preparing Mission 2015 for that; there is one more year, will try to strengthen the party further by then," said Bala, as he is popularly known. 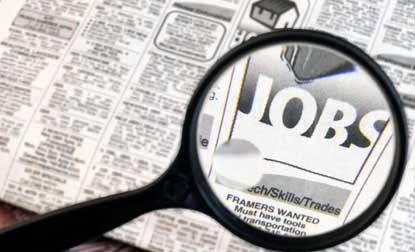 Ajilon, one of Australia’s largest resourcing, business and technology companies, has partnered with ITC Infotech, a global IT services company, to jointly offer Australian clients deep domain and technology expertise coupled with a robust global delivery model in the oil and gas, mining and logistics, public sector, energy and commercial sectors. Ajilon and ITC Infotech will collaborate to offer a number of business and IT services including Business Analytics, Mobility, Custom Application Development and Application Managed Services, as well as providing Business and IT Services with some of the world’s leading software providers such as SAP and Microsoft. With over 6000 employees, ITC Infotech combines business consulting, deep technical expertise and offshore delivery capability to provide technology solutions to customers across US, Europe, Middle East and APAC. 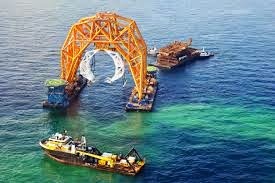 The partnership has already secured a new project win due to commence in July. Managing Director at Ajilon, Ger Doyle, said "We are delighted to commence our strategic offshore contract with ITC Infotech whose expertise and innovation offers our clients best of breed services, scalability, and access to world leading talent. “We believe Ajilon’s outstanding local capability and delivery pedigree, combined with ITCInfotech’s excellent off shore capability will make an extremely attractive value proposition to the Australian market.We have already won our first client project in association with ITC Infotech and we look forward to delivering world-leading solutions to Australia with our new partner”. Commenting on the partnership, Ajeeth Jagannath, Senior Vice President – APAC, ITC Infotech said, “We are very excited with this partnership. We see two complementary organizations with similar value systems coming together to provide a rich set of technology service capabilities combined with a global delivery model”. 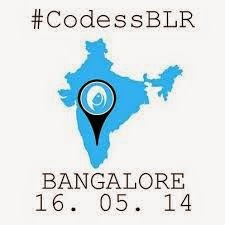 Themed The Future of Work and Play, CODESS India, which was organized by WinSpire, the women’s networking team at Microsoft India Development Center in Bangalore, provided the attendees the opportunity to learn about future technology trends from Microsoft leaders and external speakers, attend a special session on game development conducted by a Microsoft team from the UK and watch some cool demos. The by-invitation only event, which started at 11am and closed at 4pm today, also gave the attendees the opportunity to meet experienced and like-minded female engineers from within the software industry. In her session titled Reflections, Kalpana Margabandhu, Director, India CIO Lab and BT/IT Location Executive, IBM India, shared some learnings from her 32-year technology career. She stressed the importance of personal integrity and the ability to decide early on in life what is important to a woman, so that she can make appropriate choices and pace her career accordingly. Self-awareness and constant learning from experiences help a person grow in her desired direction, she said. Kalpana believes events like Codess are very important for women to be able to discuss, talk about their unique challenges and find solutions. Even in the case of innovation, there is always this inherent fear of not knowing what to do but when paired with someone else, increased confidence can help you do a much better job, she said. 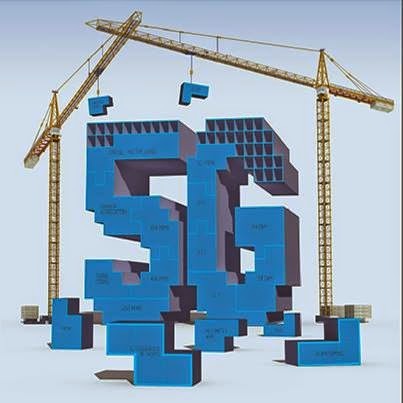 NI today announced that it’s working with Nokia’s Networks business to collaborate on advanced research related to fifth generation (5G) wireless technologies such as exploring peak data rates and cell-edge rates in excess of 10 Gbps and 100 Mbps, respectively. 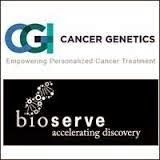 Cancer Genetics, Inc., a DNA-based diagnostics company focused on developing genomic-based oncology tests and services, today announced the agreement to acquire BioServe Biotechnologies (India) Pvt. Ltd. for approximately $1.9 million, primarily in CGIX stock and other deferred consideration. 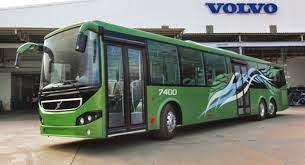 The transaction is expected to close during the third quarter of 2014 and is subject to customary closing conditions and government approvals in India. BioServe India is a state-of-the-art genomics services provider and molecular kit manufacturer serving both the research and clinical markets. By utilizing BioServe India's molecular services, researchers can identify genetic markers, validate drug targets and correlate clinical and molecular data to accelerate the development of new and effective drugs. Additionally, BioServe India’s growing clinical diagnostics capabilities in oncology and next-generation sequencing are well-positioned to serve the needs of improving oncology diagnostics care and management throughout India. BioServe India has the infrastructure and scientific expertise required to integrate CGI’s DNA probe manufacturing and proprietary FHACT test into a market that accounts for more than 25 percent of the global deaths attributed to cervical cancer. FHACT™ is a non-invasive genomic test that can be work as a reflex test from a Pap smear and that can identify cancer and pre-cancer lesions caused by persistent HPV infection. The test can provide physicians with crucial information in making treatment decisions in cervical and HPV-related cancers. “It’s a proud moment for us at BioServe as we join forces with one of the leading cancer diagnostics providers. There are great synergies which we expect to unlock by combining our visions and teams together,” said Rama Modali, Founder of BioServe India. · Cancer Genetics, India will have the ability to help global clinical trial clients with trials in India or Asia. 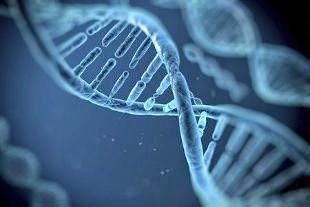 · Cancer Genetics will be well-positioned to provide oncology-focused next-generation sequencing and CGI’s proprietary cancer portfolio as a strategic driver of growth in the high-growth Indian market. · The transaction is expected to be accretive in 2015. What are the Final Hurdles to Modi's PM Quest? A ‘Modi sarkar’—as the BJP puts it—is only a matter of formality on May 16, if one believes opinion polls. The last NDTV-Hansa Research poll gives a clear majority to the BJP and its pre-poll partners. 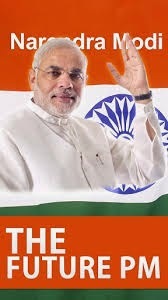 That is, its prime ministerial candidate Narendra Modi will not even have to scout and scramble for new allies. The damper, however, is that opinion polls have been notoriously off-the-mark on the last two general elections. In 2004, most predicted another BJP return on the ‘Shining India’ platform; and, in 2009, the argument that a Third Front could come to power was so convincing that even dusted and grimed politicos such as Lalu Prasad and Ram Vilas Paswan fell bait to it and dumped the Congress. This time around, there is little doubt that the Congress faces severe anti-incumbency while the BJP is on a roll with Modi as its face. Still, two questions emerge: Is it going to be a cakewalk for the BJP? And, if the numbers don’t add up will Modi still remain the prime ministerial candidate? Modi says the BJP’s tally would be close to what the record numbers Congress got in 1984. 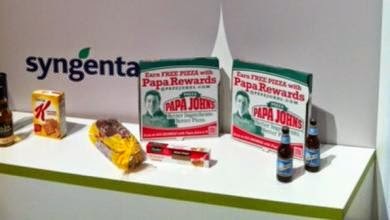 However, this could be just election rhetoric. On a realistic note, for Modi to become the Prime Minister, the BJP should be comfortably placed with a personal score of 200 seats and above. Assuming that the current allies score a minimum of 30, with some help from AIADMK chief J Jayalalithaa—who shares a personal rapport with Modi—and perhaps the Telangana Rashtra Samithi, the magic figure of 272 may just get closer. That is, more the BJP gets over the 200-mark, the better it is for Modi. One of the strongest hypotheses, however, going for the BJP is that the ‘Modi factor’ could help bag around 75 of the 120 seats in the crucial states of Uttar Pradesh and Bihar. But is that the true picture? In UP, the polarisation due to Muzaffarnagar riots has certainly helped the BJP in the western parts. The BJP seemed to have gained the Jat votes and even partly the Dalits in the mostly four-cornered fight with the Bahajun Samaj Party, Samajwadi Party and Congress. The Muslim votes though were expected to go split among the later three. 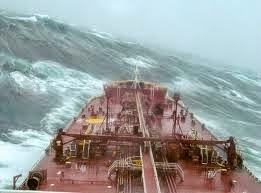 However, things have been changing. Perhaps due to the inflammatory remarks by BJP leader Giriraj Singh and VHP leader Praveen Togadia, Muslims seem going in for tactical voting in central and eastern UP. That is, to back a certain party in a particular constituency that has the best chances of beating the BJP. Yoga guru Baba Ramdev’s ‘honeymoon’ remark also has forced a rethink on those Dalits who were gravitating towards the BJP. All these could drastically change the outcome in many seats. BSP chief Mayawati has been unusually silent and perhaps a reason why her party is being underestimated. BSP is the only party there that has seen its vote base stay put or even increase, and in 2009 though it bagged only 20 seats was runner-up in more than 45 seats. Even Modi’s Man Friday Amit Shah admits that the fight in UP is mainly with the BSP. Mayawati could well spoil Modi’s party. A similar scenario seems to be emerging in Bihar with the Lalu Prasad led RJD-Congress combine surging with the Muslim-Yadav vote consolidating. Janata Dal (United) apparently is losing out. In other states, even a small surge in the remaining phases by the Congress and other parties could chip away a few seats from the BJP’s tally. AB Vajpayee, in both 1998 and 1999, could successfully lead the National Democratic Alliance government consisting of more than twenty allies when the BJP got 182 seats. However, if the BJP’s tally is about 180 or less in the 16th Lok Sabha, things could be different. Though the possibility of a Third Front could be ruled out, it may be difficult for Modi to charm new, big allies before sending the list of supporters to the President. His recent barbs, for instance, against Trinamool Congress chief Mamata Banerjee don’t help. Who then would become the prime minister in that scenario would largely depend on the new allies who would either join the NDA or support it from outside. Remember, Modi has been projected as BJP’s prime ministerial candidate, not NDA’s. BJD chief Naveen Patnaik and even a Mamata Banerjee and Bihar chief minister Nitish Kumar—who between them may get about 50 seats—may not be averse to support an alternative BJP candidate with the tag “to stop Modi”. That is, if Modi fails to deliver a substantial number for the BJP, his dream of becoming Prime Minister could vanish even if the NDA has a shot at power. Things could change within the BJP too. It’s no secret many BJP leaders are scared of being stomped by ‘Prime Minister Modi’. A low tally could embolden them to chant what senior leader MM Joshi said earlier: ‘No Modi wave, only BJP wave’. Realpolitiks could then prevail. In 1989, for instance, though VP Singh was unquestioningly projected as the prime ministerial candidate of the anti-Congress combine, Chandra Shekhar threw his hat in the ring after election results. A similar scenario could happen in the BJP too. Any change would, of course, need the Rashtriya Swayamsevak Sangh’s approval. While the Sangh ostensibly endorses Modi for the PM post, this may not be the complete picture. Sources indicate that the Sangh has been a bit cautious if not wary of Modi in the past. The Gujarat chief minister had kept the Sangh at arm’s length there for nearly a decade and warmed up to it only recently towards realising his national dream. Given his authoritarian past, there are fears that once he becomes the PM he would overshadow the Sangh, again. What is also being lost in the din of electioneering is of RSS chief Mohan Bhagwat opposing the chanting of ‘NaMo’, and more importantly his remarks: “The question is not who should form the next government. The bigger question is who should not form the next government.” Much can be read into that. Let’s then look at some possible contenders. BJP chief Rajnath Singh, who has been conspicuously positioning himself as inheritor of Vajpayee’s legacy; Sushma Swaraj and Arun Jaitley, who is considered close to Modi, have proved themselves as Opposition leaders in the outgoing Parliament; even chief ministers Shivraj Singh Chouhan and Manohar Parikkar are the names doing the rounds. But, the octogenarian LK Advani, who till recently was opposing Modi, may emerge the frontrunner. Advani is not just a respected figure among most political parties, but as any reporter covering BJP in 2005/06 would recall Mohan Bhagwat was the one who came to his rescue in his stand-offs with then RSS chief KS Sudarshan. Be that as it may be, all the above will be invalid if Modi delivers on the hype built around him. Or, he would just become a stepping-stone for someone else’s march to 7, Race Course Road. Students from the “IT Hub of India” - Karnataka are all set to compete with their global peers and make the country proud at the Intel International Science and Engineering Fair (ISEF). 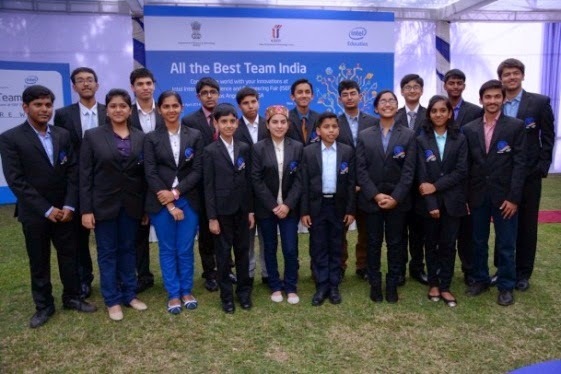 Abhishek Mitra of National Public School, Prajwal Shivanand of Vagdevi Vilas School, Saad Nasser of Clarence High School, Ram Mannath Aishwarya & Vinod Nambiar Sishugriha Montessori & High School in Bangalore and Arjun Rao Hurulihal of Jawahar Navodaya Vidyalaya in Dharwad are part of Team India. The students will represent the country at the fair and compete with 1600 finalists from over 70 countries across the globe in Los Angeles, California from May 11-16, 2014. This year, the highest numbers of entries are being sent from India in the history of the competition; with 12 projects competing at the event as compared to 6 projects that were shortlisted last year. This was made possible courtesy a partnership with the Indo-US Science & Technology Forum, an autonomous organization jointly established and funded by the Indian and US Government. Under this collaboration, Team India will continue on a Science Learning Tour where they will visit the Maker Faire in the Bay area, various research laboratories, meet with key scientists and explore various science museums in the United States of America. 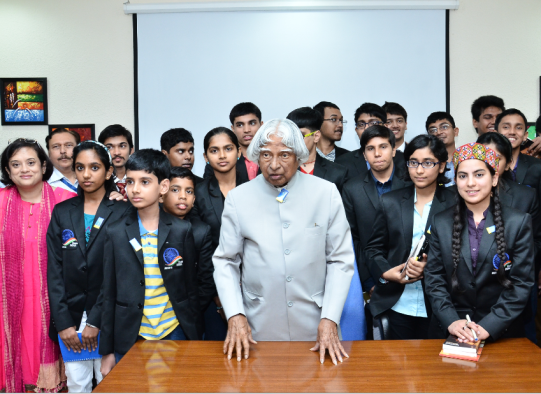 Team India also met Dr. A P J Abdul Kalam, the former President of India and a renowned Indian scientist who wished them luck before departing for Los Angeles for the Intel ISEF fair. Intel ISEF is a program run by the Society for Science & the Public (SSP) in partnership with Intel Corporation. The premier global science competition provides an annual forum to pre-college students across the world to display their independent research. Intel ISEF winners are chosen from 17 categories including behavioral and social sciences, biochemistry, computer science, and engineering: materials & bioengineering, environmental sciences, medicine and health sciences, microbiology and many others. Projects are evaluated by judges from nearly every scientific discipline, each with a Ph.D. or equivalent (six years of related professional experience) in one of the scientific disciplines, and include Nobel laureates and Intel fellows. 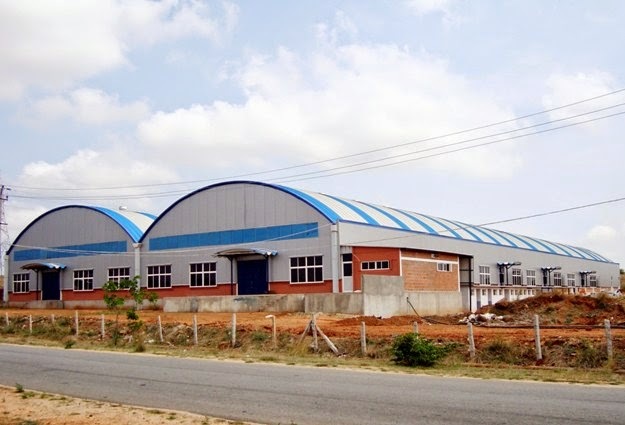 Rangsons Electronics is one of the leading Electronic Systems Design & Manufacturing companies in India. It is a preferred partner to global leaders in industries such as Medical, Industrial, Railways, Defense and Aerospace. Its strategic positioning in the Railways segment is further boosted with the receipt of IRIS certification, an international railway industry standard. Having upheld the highest standards of quality management for over 20 years, Rangsons’ recent accreditation reinforces its commitment to quality, sustained long-term focus, ability to manage obsolescence and continuously improve. This certification gives recognition to Rangsons as a quality supplier to Railway industry and also provides Rangsons’ customers with the benefits of the best in class solutions. “The successful achievement of IRIS represents a major milestone for Rangsons and reflects our endeavour to cater to Railways segment. Quality of products, reliability of deliveries and obsolescence management is the key to succeed in being a supplier in Railway industry. 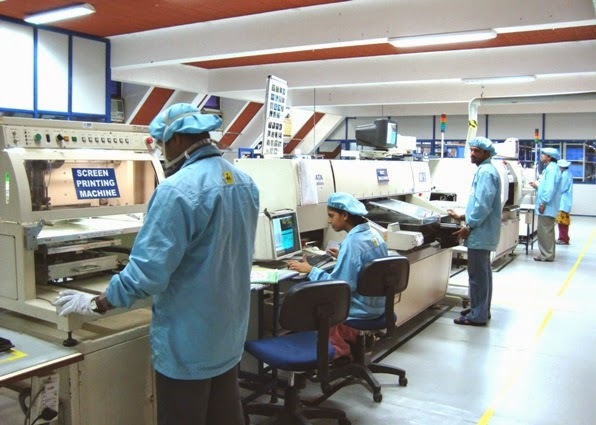 Rangsons provides customers the flexibility to choose their level of engagement, build to print, build to spec or product level,” states Pavan Ranga, CEO of Rangsons Electronics. Railways being one of the strategic industry verticals, this certification will facilitate Rangsons in becoming a preferred partner for Electronic systems design and manufacturing. 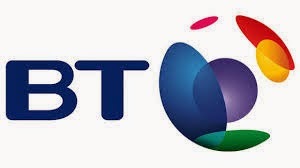 BT today announced a seven year extension to its global networked IT services contract with Syngenta, one of the world’s leading agribusiness companies. BT has worked with Syngenta since 2000, managing all aspects of communications including an integrated IP infrastructure to reduce costs and enable expanded collaboration services. 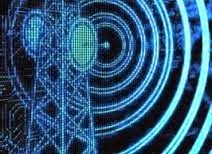 BT will provide new services to Syngenta under this contract such as wide area network (WAN) optimization, wireless local area network expansion, unified communications support and application performance monitoring. BT helps Syngenta employees, partners and customers to better communicate and collaborate through secure access for third-parties, remote access for employees, international IP voice services, audio and video conferencing and managed mobility. BT continues to deliver converged communication services to all of Syngenta’s 28,000 employees in more than 90 countries. Since 2000, BT has helped transform Syngenta’s infrastructure into one of the most modern corporate networks in the world. 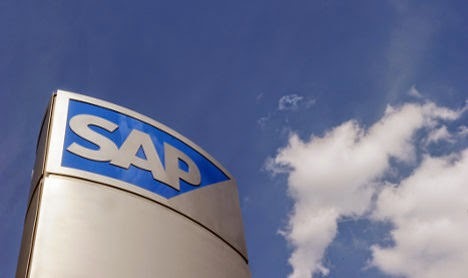 SAP India, a subsidiary of SAP AG has announced a unified strategy of delivering next-generation cloud solutions to enable customers better manage their critical assets and relationships, namely HR, Finance, Customer and Procurement. SAP in India has infused the cloud DNA, into its business and has seen a surge in the demand from customers of all sizes giving companies the flexibility and choice they need to innovate for growth across their entire business on cloud. SAP hybrid cloud offerings in gaining momentum as Indian companies realize the potential for transforming business capabilities and driving new innovative services. Ranbaxy Laboratories Limited and Dabur India Limited have been on the SAP Cloud for over a decade have seen significant progress to transact, move, store, process and analyze data in real time. 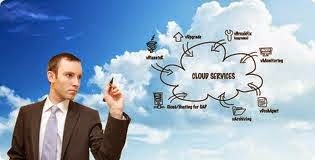 Today, many more organizations have opted the cloud infrastructure including Dr.Reddy's Laboratories Ltd, Shapoorji Pallonji & Co. Ltd., Balasore Alloys, Abu Dhabi Commercial Bank, Max Life Insurance, Asian Paints, TCL Corporation, Sun Pharmaceutical Industries Ltd. and Lupin Limited to name a few. “Businesses today are exposed to situations beyond cloud that includes managing people, costs and achieving customer satisfaction’, said Rajamani Srinivasan, Vice President & Chief of Staff, SAP India. “With a well-defined cloud road map and customer-first focus approach, SAP is empowering customers to leverage and extend their existing investments with the flexibility of deployment choices,” he added.